Have you been searching for stylish wedding car for hire to get you there on time or to give your photos that special little something? We have a stunning selection of wedding cars for hire to suit many different tastes and styles. We have mostly Mercedes Benz classic cars dating back to 1950’s, 60’s and 70’s. 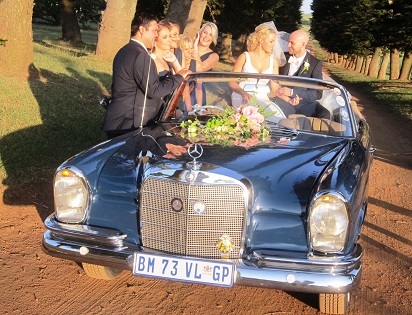 Your wedding car hire should be based on your own personal taste but also …. 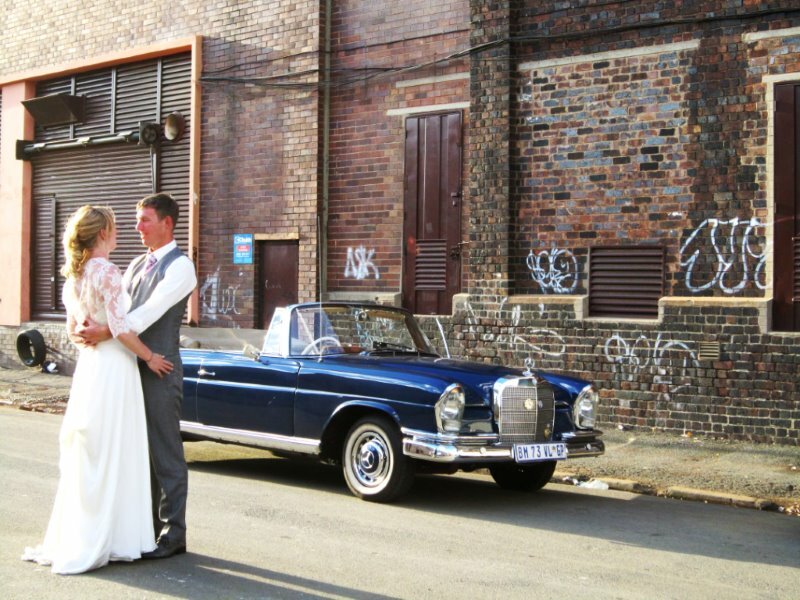 your logistics – will you be travelling in the old car or just using the vintage car as a wedding accessory? If you are travelling in the car and want a Cabriolet or convertible, consider the weather and your hair-do. 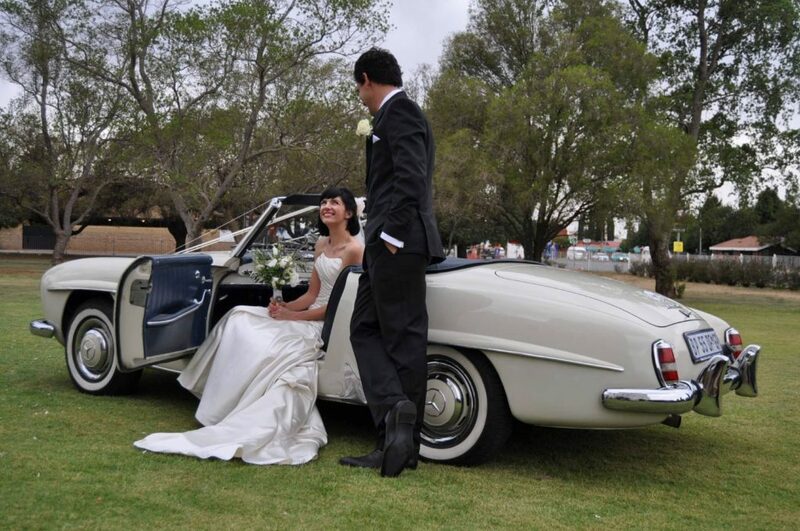 the wedding location – will the venue and photo shoot location be accessible by vintage car? 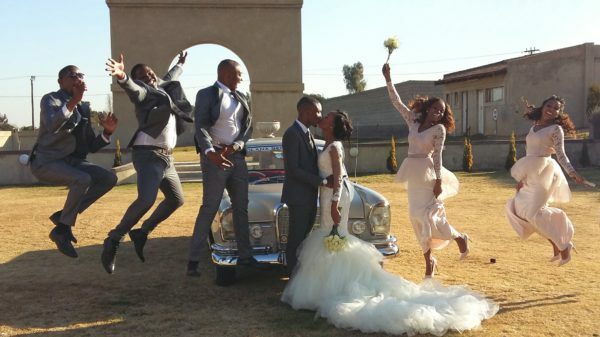 SOME of our FAVE WEDDING PHOTOS … for your inspiration. Please advise details in full below so we can quote you accurately. Note cost is based on the distance travelled PLUS total Number of Hours you require the cars and their drivers to be in attendance. 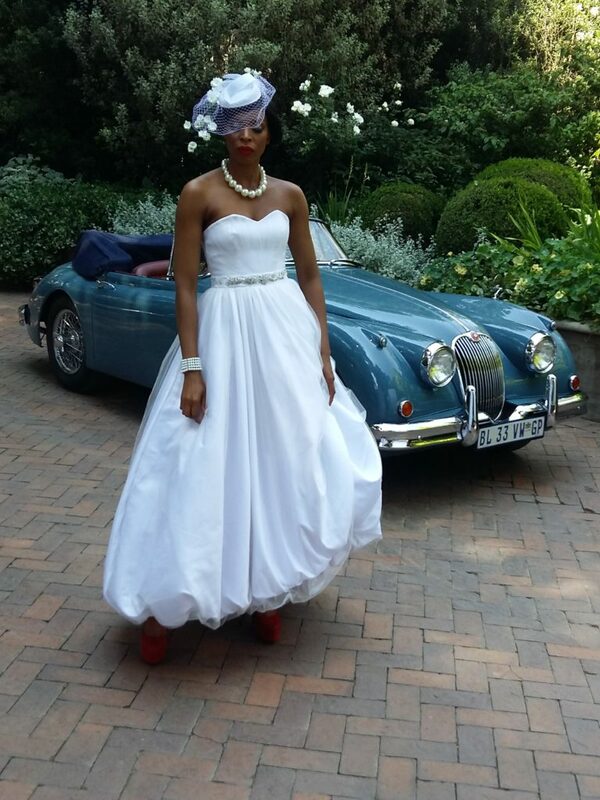 Could you please give me the cost to hire 1935 The Buick and The 1962 Bentley S2 for a wedding in Bryanston on the afternoon of Saturday 29th October 20016. Hi Suzette my brother is getting Married on 22 October 2016 and we would like a quote on the 1935 Buick. We are based in Pretoria in Eersterust. the church and reception is in Eersterust, but the photos will be taken at the Union Buildings in Pretoria. I would also like to enquire on the fleet of Cabrios. just checking in …did you receive your email reply from us? 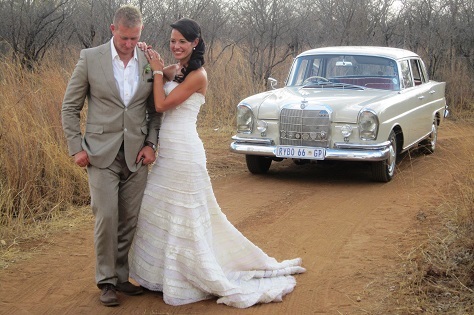 Hi, My wedding is on the 17th Dec and would like a quote for a vintage car for hire on the day pretoria East? Hi and thanks for getting in touch. Hello. 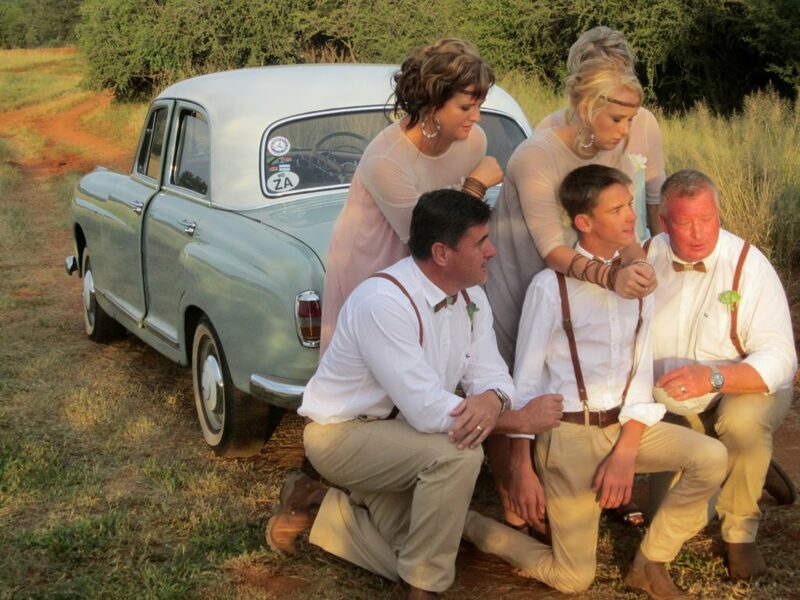 I would like a auote for wedding on 29 October 2016 in Bronkorspruit of the 1935 Buick Town Sedan. Need a vintage car for this Saturday, 1 October 2016. If you have a vintage VW combi it would be great! Hi, One of my cousins is getting married this December. And I would like to get a quote for a Classic Bentley to hire… Could you help me with the quote? I have been checking out many of your posts, and it’s nice stuff. I will definitely bookmark your website. Excellent blog post Thanks for sharing . whoah this weblog is wonderful i love reading your articles. Keep up the good work! You already know, lots of persons are hunting round for this information, you can help them greatly. Hi. Could you please let me know how much it would cost to hire “Scarlett” 1959 Merc Ponton for a wedding on 23 September 2017. Please email pj@suzettebouwer.co.za with details as costs are based on number of hours and distance travelled. thank you for appreciating the collection! Hi can you please send me the price list for the hire of the classic vehicles on offer. We are having a wedding over two days on the 21 September 2019. 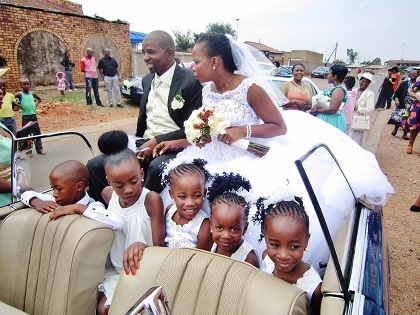 The wedding place is in Mpumalanga about 130 kilometers from Pretoria Central, and continuing on Sunday at Temba, Hammanskraal which is approximately 60 kilometers from Pretoria. I was fascinated by the following vehicles: Blou Blessie “1973 T2 VW Kombi”, Black Widow “1935 Buick Tow Sedan” and Joshua “1960 XK 150 Coupe Jagua. Please send me the price list of the vehicles if possible. Please look out for our reply by email.